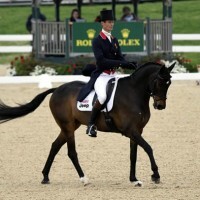 1st – Allison Springer and Arthur. 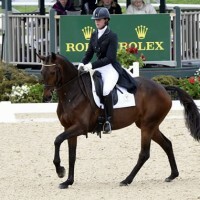 (USA, 25 April 2014) Allison Springer (USA) riding Arthur, today Friday 25 April 2014, is the current leader after the Dressage phase, with William Fox-Pitt (GBR) riding Bay My Hero in 2nd place, and Lauren Kieffer (USA) riding Veronica in 3rd place at the Rolex Kentucky Three-Day Event, in Lexington. 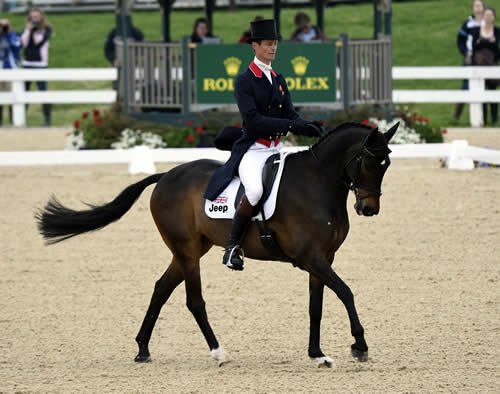 Andrew Nicholson (NZL) has travelled to the Kentucky Horse Park as the new Rolex Grand Slam of Eventing ‘live contender’ and the Rolex Kentucky Three-Day Event defending champion. 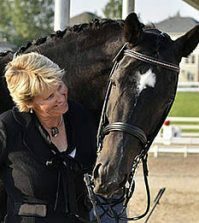 This follows the news announced on 23 April 2014 that last year’s winner of the Land Rover Burghley Horse Trials, Jonathan Paget (NZL), has officially been disqualified following a “partial decision” by the sport’s governing body Tribunal. As a result of Paget’s disqualification, Andrew Nicholson and Avebury have now been promoted and are the Land Rover Burghley Horse Trials 2013 winners. 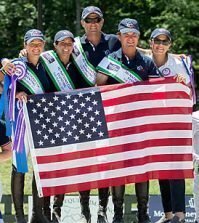 All eyes are now on Nicholson to see if he can repeat the form he demonstrated in 2013, by winning the 2014 Rolex Kentucky Three-Day Event, which will put him one competition away from the coveted USD $350,000 Rolex Grand Slam of Eventing Prize. Nicholson is competing in Kentucky on his grey gelding Avebury and is currently lying in joint 11th place after the Dressage phase on a score of 51.7. Q. Allison – how does it feel to be back with Arthur? We know each other well. As a competitor he has given me most of my mileage so I have learned to be a little bit more relaxed and understanding with him and he was pretty wild when I rode him at lunchtime – I thought, uh oh, I’m in a little bit of trouble here, but you just have to do the best job you can. It’s emotional; it’s been a big year and it’s emotional to have my horse back and strong and feeling great. Q. William – Bay May Hero – what a lovely horse – thoughts on that test? 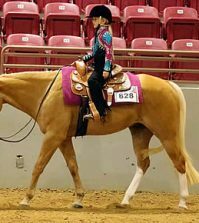 He is a cool horse; he’s such a fun horse to ride and one that’s always on your side. You go in there and that atmosphere and that crowd in there was fantastic – you need a horse that’s good and he really tried. It was a huge relief to get a 44 (as the scores have all been so high) and delighted with how he went. There were a couple of rusty moments as he hasn’t had a big day out for a while – I’m really excited. 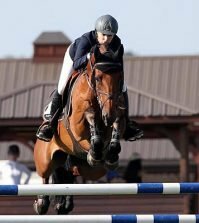 Q. Lauren – competing in just your second Rolex – how does it feel this time? I’ve been riding Veronica for about a year now and it’s definitely a different mind-set this time around – I came to give a shot at it and there is a lot to do tomorrow – it certainly won’t be a dressage show, but I’m happy with how it went today. Q. Andrew – how did you feel the test went for you? It wasn’t as good as he is on grass – I thought he might be a bit like this on this surface [all weather] – grass gives him a little bit more balance. I was having to ride him a bit more strongly in there to keep him looking half active. But he’s good. I know he can do better than that. Q. So you are currently within five points of the leaders? If they stay scoring that for the last few and if I can finish on that, then I think I can probably win! 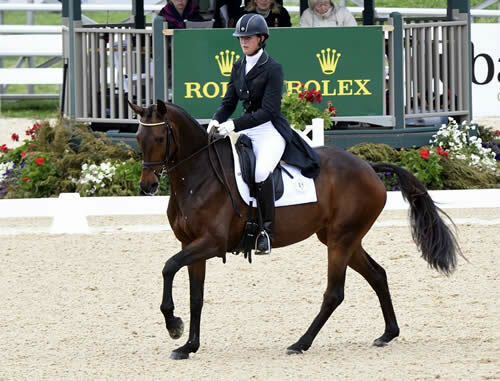 For more information on the 2014 Rolex Kentucky Three-Day Event and full Results/Leaderboard, please visit www.rk3de.org. In 2001, Rolex created the Rolex Grand Slam of Eventing. This trophy is awarded to the rider who manages to win the Rolex Kentucky Three-Day Event, the Mitsubishi Motors Badminton Horse Trials and the Land Rover Burghley Horse Trials event in any consecutive order. 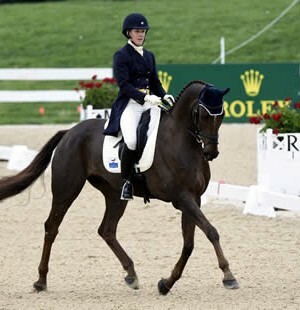 Until now, only British rider Pippa Funnell has managed this staggering achievement, winning the title in 2003.